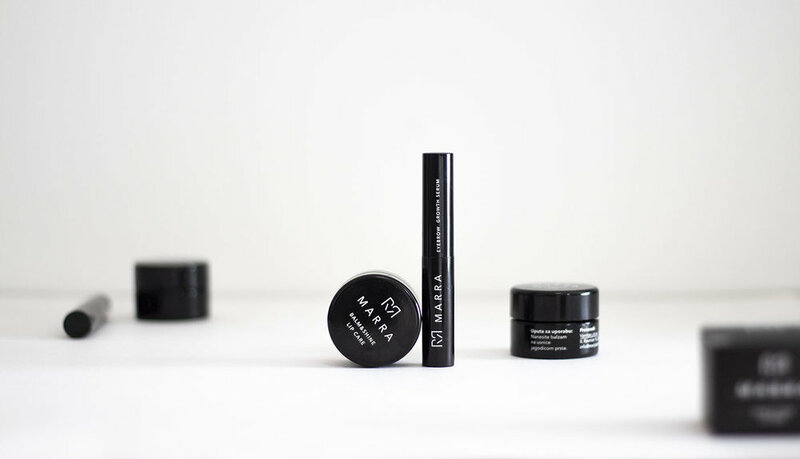 Renowned Croatian makeup artist and a leading expert in permanent eyebrow makeup Marija Butković launched her own line of beauty products, consisting of five products based on natural ingredients. Her brand strategy was inspired by personality and strong character of Marija, as well as all strong women she worked with throughout her twenty year career. Her brand is unique in that it celebrates strength of character, not only the superficial beauty. Ona ima ono nešto (She's got that special something), was selected as the brand slogan. 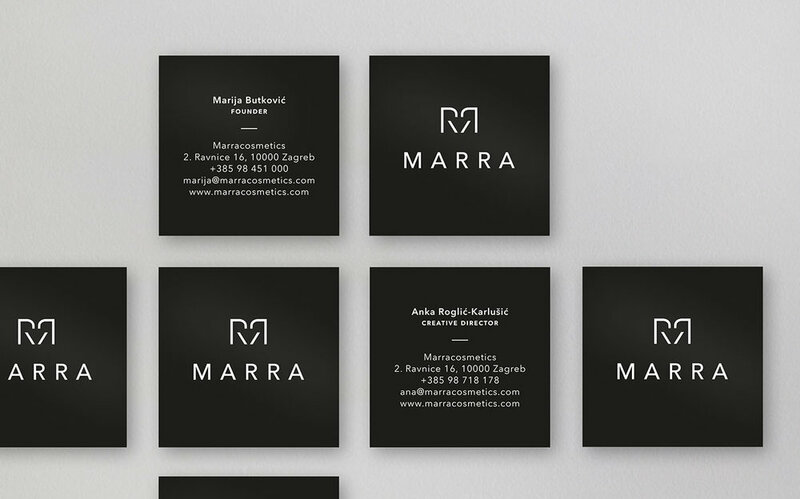 To communicate woman's strength and passion we focused on the letters rr, the strongest part of the name Marra. 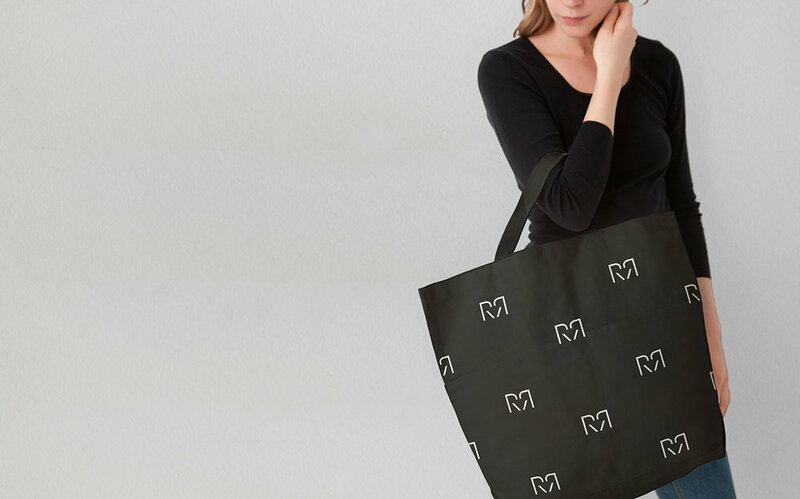 Visual identity is based on a classic M monogram, created by mirroring two letters R (it is also reminiscent of woman's eyebrows). Combined with a dominant black tome and a minimalist packaging, the identity communicates strength, tradition and high quality.